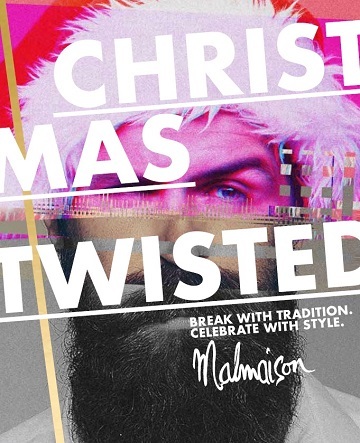 Malmaison, the iconic boutique hotel brand, in sixteen cities across the UK. The spirit of Mal life is within our super stylish private dining and meeting rooms. High-octane bars with cocktails and bubbly so dangerously tempting for a school night. Divine dining in the Chez Mal Brasserie where fresh ingredients meet fresh thinking, as our expert chefs serve up iconic dishes with a Mal twist. Great beds for sleepy heads; power showers, flat screen TVs, serious wines and naughty nibbles. The majestic white building of Malmaison’s hotel in Cheltenham looks right at home just around the corner from the serene Montpellier Gardens, with the Chez Mal Brasserie boasting a glass courtyard, ‘Garden Room’, Grade I listed Conservatory and a beautiful terrace. Although the hotel rests in the very heart of Cheltenham, you’ll instantly feel the calm and privacy of this sensitively-converted but utterly modern villa and surrounding grounds; and we are dog friendly too! Full of little touches and interesting nooks, our Cheltenham hotel is full of charm and character. Enjoy Malmaison’s famous menus in our Brasserie, or cocktails and spirits in the unique ambience of our bar. Underneath the charm and calm of our Cheltenham hotel bubbles a restrained energy, with a modern fitness room, minimal bedrooms with free Wi-Fi and smart technology and interesting meeting rooms to mix your pleasure with a little business.